What just happened? A new feature is rolling out on Facebook that adds 3D effects to images, which can be posted to your news feed. Dubbed 3D photos, it takes advantage of AI and dual-camera smartphones—only iPhones, initially—to "bring scenes to life with depth and movement." 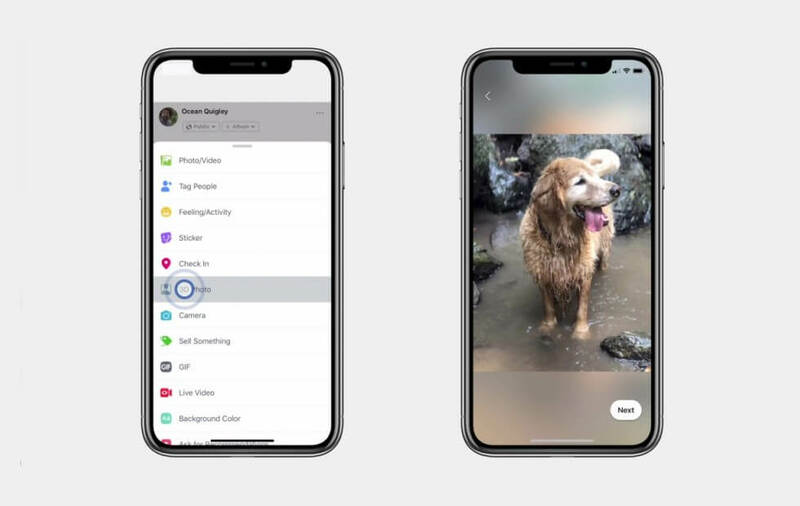 First announced at the F8 conference in May, the feature gives a standard 2D picture a semi-3D effect that changes perspectives when you tilt and move your phone, or view it from within a VR headset—similar to panning around a panoramic photo on Facebook. Right now, the feature only works with the iPhone 7+, 8+, X, or XS using Portrait mode, but it will arrive on other dual-camera phones at some point. Facebook says it will be “adding support for more devices in the future.” The company adds that the best results happen when the subject is three to four feet away, and capturing scenes with multiple layers of depth, including something in the foreground and something in the background, really make the image pop. It also suggests looking for shots with contrasting colors and textures. Facebook users started seeing 3D Photos in their feed yesterday. The ability to create and share an image is being rolled out to now and should arrive for everyone over the coming weeks.